Formula 1 teams are coming to a greater appreciation of the wide-ranging implications of the halo as they take delivery of the first proper versions of the device. All halos run on track have been replicas until now, with only the shape the same as what the final specification will be when they are introduced next year. Teams have at least been able to observe the aerodynamic impact of the halo, with some attempts made in Abu Dhabi to influence the flow of air around the device. Drivers and the FIA also had an opportunity to assess the effect on visibility and cockpit access. Three manufacturers, from the UK, Germany and Italy, have been granted the right to produce the halos by the FIA. Teams are free to choose their supplier, and prices start from around €15,000 (approximately AUD 23,000). Until now, teams could only estimate the structural impact on their cars. Chassis must meet the requirements of the FIA’s stringent new halo static load tests, designed to replicate the impact of a wheel assembly. The teams have had to not only fit the halo mountings but also bolster the structure around the cockpit. “There are two tests,” said Force India technical director Andy Green. “They’re incredibly tough to pass, and if you don’t pass them, you don’t race. “Basically, they’re trying to push the halo off from just to the side of the driver, with a big hydraulic ram. It’s supposed to deform and fail, and the chassis has to remain completely intact, with not a single point of failure. “You have to break the halo to prove that the chassis is the strongest part. “It’s been the focus of our efforts for some time. The introduction of it was so late, it caught everyone off guard. “You’re up against trying to design a chassis that doesn’t fail, whilst something else is failing around it. It’s incredibly difficult to predict how it interacts with the chassis, because it all moves and turns into a different shape. “We’ve had a big team of people working on this. The frustrating thing is just the time that we’ve had to do it. Force India passed the FIA tests on Monday, and the team is understood to be one of the first to do so. Weight is also a significant consideration, owing not only to the addition of the halo itself but the support structure which it attaches to. In 2017, the minimum weight rose from 702kg to 728kg to accommodate wider cars with bigger wheels and tyres. For 2018, the FIA has added another 6kg, taking the limit to 734kg, to give some margin for the halo. However, the increase has been more than offset by the halo, its mountings, and the necessary strengthening of the chassis. 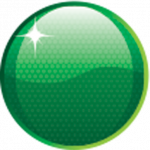 “I think total installation weight is around 14-15kg,” said Green. “About 9kg of that is the halo, and there’s 6kg of mounting, with all the brackets. In recent years some teams have been able to produce cars comfortably inside the weight limit, leaving them with scope to use ballast to adjust weight distribution. 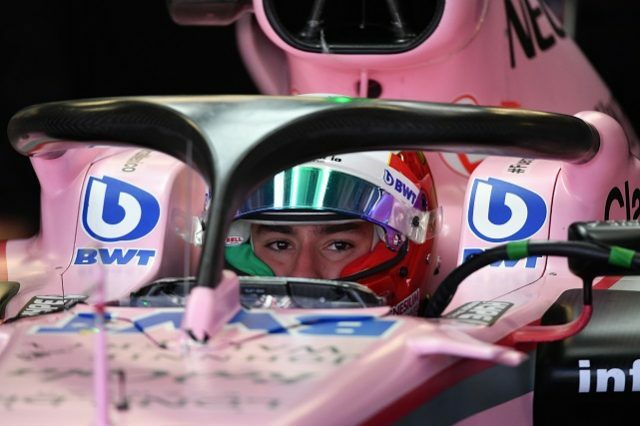 Some teams may have found a way to mount the halo with less weight added to the chassis than Force India has, and those teams are likely to be the same ones who can afford to save weight elsewhere in the car. “We’ve had to save weight as much as possible,” said McLaren’s Eric Boullier. “We (F1) keep putting things on the car. It’s as heavy as a dead donkey, as we say in French. “We’re still in a luxury position, we have some ballast. The team is doing a good job of saving weight. You just have to work hard to make your car lighter. That will also make driver weight an issue again. “With heavier drivers it’s going to be harder for the teams.” said Green. “It’s a decision they make when they employ their drivers. Periods when driver weight is potentially disadvantageous always put taller drivers in particular under pressure. “We are aware of it, there is talk about it,” Nico Hulkenberg noted in Abu Dhabi. “It’s a political matter and the teams need to agree to change the weight, but some don’t want to. “For me as a taller and heavier driver it’s definitely going to be a bit of a penalty. Romain Grosjean added, “My car is already very much on the limit if not overweight this year. “If the halo is really that heavy, it’s going to be a problem. I’ll have to lose a bone! The arrival of the halo could influence other areas for teams beyond the technical side, as it potentially alters sponsorship opportunities. “You’re not allowed to paint the inside of it, because they don’t want the drivers distracted by a particular colour,” said McLaren’s Zak Brown. “But the outside of the halo, you can brand. “It will create extra exposure, but will probably also restrict some of the visibility around the driver. “The visor is a very valuable spot – that may now become the halo (instead). Brown has also dismissed suggestions that the backlash from fans towards the halo will put sponsors off. “It’s early but it will be quite visible, and sponsors want visibility,” he said.